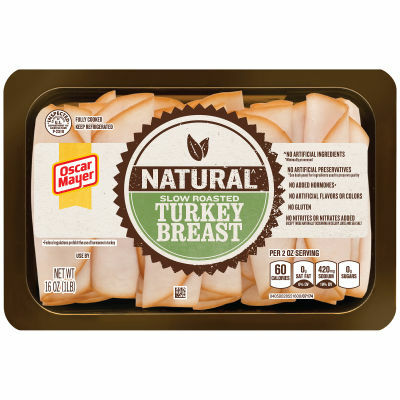 Delicious Flavor the Whole Family Will Enjoy - Treat your family to the delicious all-natural flavors of oven roasted turkey with Oscar Mayer’s convenient 16-ounce tray of Natural slow roasted turkey breast slices. - This savory turkey meat contains no artificial flavors or preservatives and makes a yummy, addition to your favorite sandwiches and salads. You can also enjoy it as a snack straight from the pack anywhere, anytime.